It's an honour just to be nominated…. …but its even better to win! 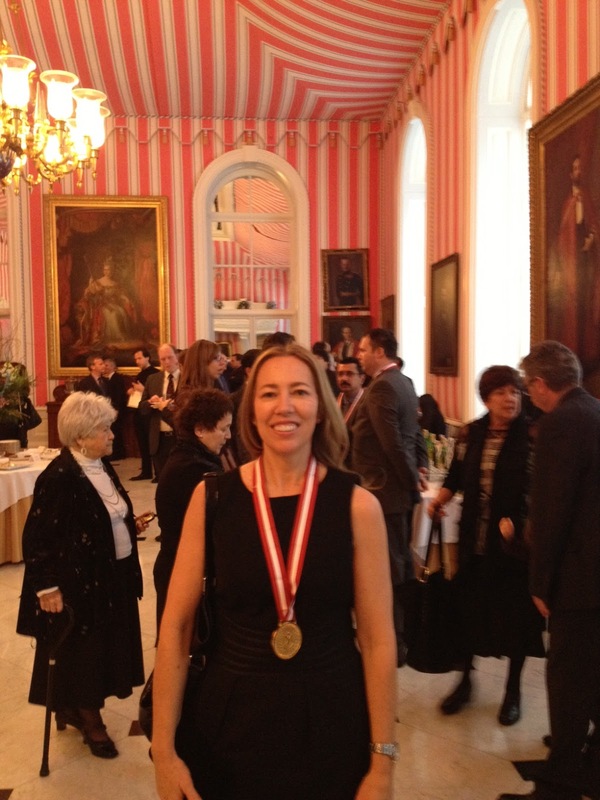 I'm one of a group of very lucky heritage advocates who have recently won the Governor General's History Award for excellence in community programming. Cynthia Klaassen, Lorna Cordeiro, Marilyn Williams, Bob van Wegen, Carol Stokes, Carolyn Ryder, Sarah Meilleur, Lindae Stokes and Debbie Ferguson are my fellow committee members on the Century Homes Calgary project. 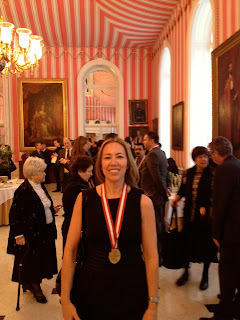 As a member of the steering committee, I flew to Ottawa this past December to be honoured by His Excellency the Right Honourable David Johnston, Canada's Governor General, at his home - Rideau Hall. A 'pinch-me-is-this-really-happening kind of event if ever there was one! This prestigious national award recognizes programming developed by volunteer-led heritage, community and cultural organizations at the grassroots level. If you haven't heard of it, Century Homes Calgary is a city-wide celebration of homes constructed during Calgary's first building boom, which peaked about 100 years ago. At a reception to honour the project at City Hall in January 2013, Mayor Nenshi joked that unlike 2012 which marked 100 years since Calgary's first big boom, 2013 celebrates a hundred years since Calgary's big bust, but who's counting? During Historic Calgary week last summer, hundreds of homes in various Calgary communities were seen sporting homemade yard signs featuring their home's history. Each participant received a banner and became part of an online walking tour on the Century Homes website. Interest for this project defied all expectations with almost 500 Century Home owners getting on board. We had no idea just how heritage hit home with Calgarians, literally! I want to emphasize the fact that we are all volunteers in this project. It's true that Calgary is famous for this volunteer spirit and all I can say is that only good things have come out of all my volunteer experiences. What better way to get to know people who share your passions and want to make a difference in the City in some small way? I've mentioned my interest in heritage in an earlier blog so its not a surprise that I think Century Homes is fantastic for the city. Not only does it bring awareness of sometimes hidden heritage buildings (in this case, housing stock from around 1912) but it helps build community, something our Mayor believes strongly in. What is a city after all, than just a really big community? Having just moved into a 1913 home in Bankview in 2011, I was particularly attracted to the Century Homes project just then in its infancy. I was super curious about my house's history and eager to meet my neighbours- both in the end, achieved through my work with this project. My neighbourhood is a curious mix of every single era, from hundred year old homes to brand spanking new modernist infills. (with a few 70s mid-density developments thrown in to round it out). There are a few streets that have retained the original character of 1912 (14A street is an excellent example) but other streets have had to adapt, positively or negatively, to new developments. This project opened up doors to my neighbours (including Terry MacKenzie who was Bankview's Century Homes Community Co-ordinator and all round amazing guy). And I learned a bit about my house. The first owner Benjamin A. Huckell came out west to take advantage of Calgary's pre-WWI boom. A real estate agent at Sandeman Cope Co., Mr. Huckell lived in the house for only a year, selling it to Frederick C. Potts, a clerk at the Calgary Land Titles office. The story gets juicier. In addition to his work as a real estate agent, Benjamin was a journalist, in fact his whole family was in the newspaper business. Here is the best part - in 1937, he won a Pulitzer Prize for journalism! Those are the kind of amazing discoveries you might come across in the City Archives! I don't have to tell you that Calgary is not known for heritage buildings. In fact we are known specifically for tearing them down sometime during the 70s and 80s. And unlike a place like Quebec City for example, we out West are barely old enough to have heritage buildings, let alone a program that honours them. For the most part, our buildings are predominantly shiny and new. So it was a great surprise to discover heritage buildings still standing and better yet, with passionate interesting people living inside them! So many Century Home owners just waiting - to research - to share their home's history - to party! See Calgary, we do have heritage buildings. And even more importantly, we have a heritage community to celebrate. Canada’s History aims to inspire small, volunteer-led community organizations in the creation of innovative programming that commemorates important aspects of our heritage. 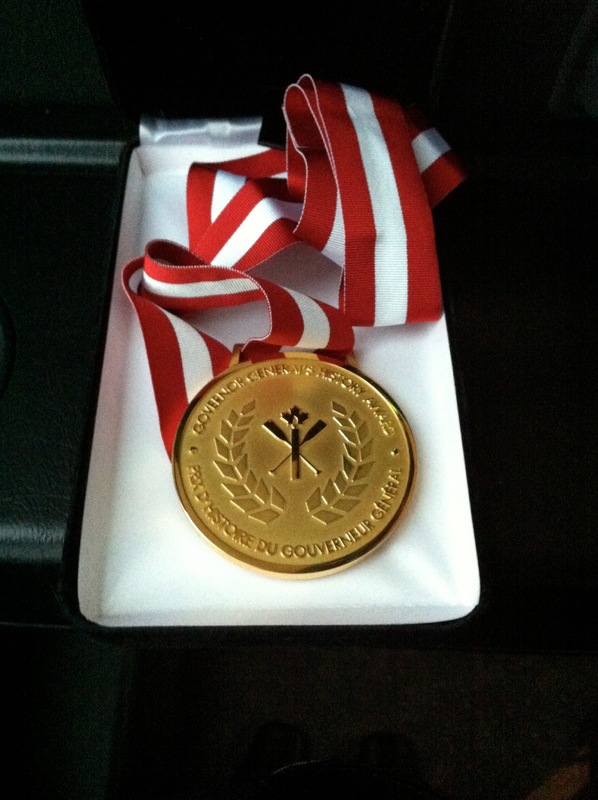 Two awards, English and French, are offered to honour excellence in public events, activities, and programming. By publicly recognizing superior and innovative achievements, the award serves as an inspiration to others in the field. I will look more into Century Homes, sounds like an awesome project.